From an early age, Olivia Pan knew she wanted to be a dentist, which is why she earned a bachelor’s degree in biochemistry from Imperial College London before moving to the U.S. to pursue her dream. Olivia, a huge Harry Potter fan, decided at the age of 14 that she wanted to move to England and continue her studies abroad. Leaving her family behind in China, Olivia enrolled at Oxford School of English with limited English-speaking abilities. While attending school, she lived with a host family. It was through her host mother where her passion for dentistry was discovered. After spending the majority of her teenage years in London, she moved to North Carolina to join her parents, who had migrated to the United States, and to pursue her dream of going to dental school in the U.S. With an undergraduate grade point average (GPA) lower than most applicants, no dental programs would accept her. So, she looked for post-baccalaureate programs in the area. 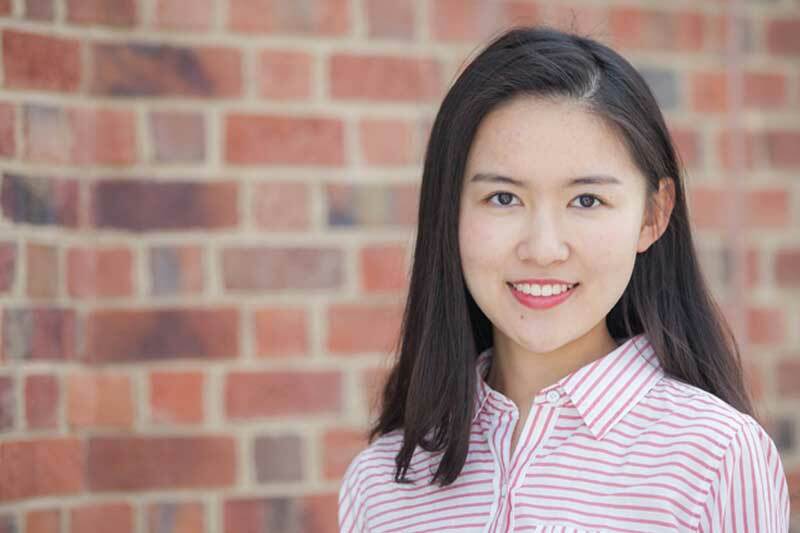 Olivia knew that the transition from the British education system to the U.S was going to bring challenges, but Meredith College helped her every step of the way. She enrolled in the Pre-Health Post-Baccalaureate Certificate Program where she learned how to take the DAT, how to tackle interviews, and how to write personal statements. She was also able to connect with other pre-dental alumni. Being a part of Meredith’s Pre-Health Post-Baccalaureate Certificate Program gave Olivia the encouragement and attention she needed to prepare for success at a top-notch dental school. She completed the program in 2016 with a perfect 4.0 GPA and was accepted into seven dental programs, leaving her with the tough decision of where to attend school in the fall of 2017. In August 2017, Olivia will be attending UNC School of Dentistry. After dental school, she plans to work as an associate in a local dental office so that she can gain enough experience to eventually fulfill her dream of opening her own dental practice, where she plans to serve the low-income community.